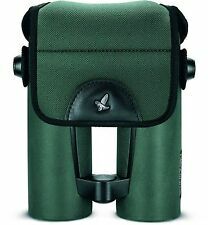 Universal Black Roof Prism Binoculars Case Bag for 42mm Objective Binoculars. 1 Binoculars Case. Compact and lightweight, easy to carry. Note: The real color of the item may be slightly different from the pictures shown on website caused by many factors such as brightness of your monitor and light brightness. Simple and durable, the mount tripod adapter provides a rigid and secure base near the center of the binoculars and Eliminate image-shake in high-power binoculars. Weight: 1.5oz. Colour: Black. For Skyhawk 3.0 8x42 & 10x42. These will only fit these two models. Op/Tech Medium Bino Pouch for Roof Prism Binoculars BNWOT. Dispatched with Royal Mail 2nd Class. Fits Skyhawk 3.0 8x32, 10x32, 8x42 & 10x42 Models. Predator 8x42 10x42. Neoprene Neck Strap. The fully adjustable binocular carrying system was designed for the adventurers who enjoy skiing, snow-shoeing, hiking, horse riding, mountain biking, hunting ect. Made of high quality nylon and real leather. The Viking universal binocular rain guard is a protective cover designed to sit over and protect the eyepiece lenses on binoculars. Eyepiece lenses will remain protected even in the most adverse conditions. Attaches to central spindle of binoculars. Feel free to ask! Viking leather binocular case with strap. Binocular Strap. Woven fabric strap with designed for use with Binoculars. MPN 800#celestronSKYMASTER25X100. Crafted from strong and sustainable aluminium and coated in an antifade gold and black polish, this tripod is as sleek and stylish as is functional. Premium quality, ultra-portable and impact-resistant travel tripod - includes tripod carry bag! Works with UCF V, UCF G, UCF Zoom, and UCF X series binoculars. Designed For UCF V, UCF G, UCF Zoom, and UCF X Series Binoculars. 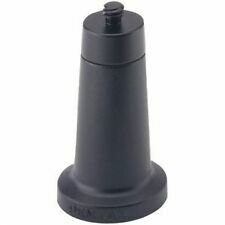 Fits to binoculars with 1/4"-20 bottom tripod sockets. 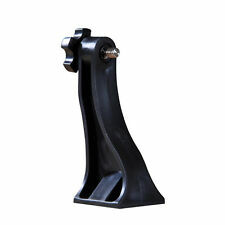 Accessory Type Tripod Adapter-U. Kindle Bundles. Kindle Accessories. Kindle Cases. Kindle Touch Cases. Any devices shown in our images are for display purposes only. Perfect for safely storing your binoculars or other small accessories. MPN 800#celestronSKYMASTER20X80. Crafted from strong and sustainable aluminium and coated in an antifade gold and black polish, this tripod is as sleek and stylish as is functional. Premium quality, ultra-portable and impact-resistant travel tripod - includes tripod carry bag! Binocular Eye shields(Pair) for Compact Binoculars - 1 Pair Compact Eyeshields - Fits Eye pieces sized approx 28mm to 38mm. The Eyeshield from Field Optics Research is the only universal eye piece accessory designed to enhance the performance of virtually any field optics. Black leather with RSPB logo. Soft leather binocular case. Zip fastening with flap for binocular strap to fit through. MPN 800#celestronSKYMASTER15X70. Crafted from strong and sustainable aluminium and coated in an antifade gold and black polish, this tripod is as sleek and stylish as is functional. Premium quality, ultra-portable and impact-resistant travel tripod - includes tripod carry bag! 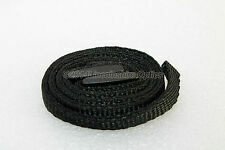 Strong neoprene strap (non elastic). MPN 800#celestronSKYMASTER25X70. Crafted from strong and sustainable aluminium and coated in an antifade gold and black polish, this tripod is as sleek and stylish as is functional. Premium quality, ultra-portable and impact-resistant travel tripod - includes tripod carry bag! CLEAN BROWN COW HIDE LEATHERYASHICA BINOCULAR CASE. 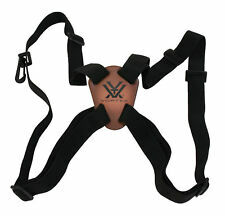 Solid relief harness for added comfort and convenience. 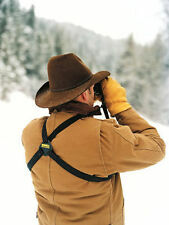 Shoulder Sling distributes the weight of your binoculars over the upper back and shoulders and relieves your neck. Miggo Strap&Wrap binocular harness is designed for ROOF binoculars of up to10×42. miggo Strap&Wrap binocular harness is designed for ROOF binoculars of up to 10×42. The harness is the world’s first binoculars strap that morphs into a protective carrier. Screw Specifications: 1/4. Applicable models: Universal. Product Size: 9 6 3 cm. Due to the difference between different monitors, the picture may not reflect the actual color of the item. Color: Black. Sling Shoulder Case For Nikon D7100 D7200 D7000 D5300 D5200 D3300 D3200 D3100. Any devices shown in our images are for display purposes only. To Fit Binoculars. Black EVA Protective Headphone / Earphones Carry Case And Cover W/ Netter Pocket. Black Rapid Binocular Breathe Strap . Condition is New but box has been opened and strap removed to check Dispatched with Royal Mail 2nd Class. Sling Shoulder Case For Nikon D7100 D7200 D7000 D5300 D5200 D3300 D3200 D3100. Black EVA Protective Headphone / Earphones Carry Case And Cover W/ Netter Pocket. Multi-purpose canvas carry-bag, keeping all your accessories safe in all weathers! Black leather with RSPB logo. 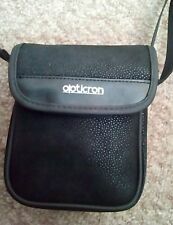 Soft leather binocular case. 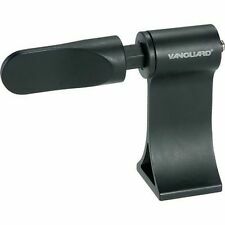 IntroducingDURAGADGET 's new binocular tripod mount - perfect for securing your precious binoculars to your tripod for the ultimate viewing experience. Two 1/4" screw connections makes this mount suitable for almost all tripods and binoculars. 100% brand new Simple and practical, easy to install Full Metal texture, Durable and sturdy Slip design at the bottom so that the bracket can be better fixed tripod, during the telescope observation can eliminate image-shake. Soft suede lining protects your Rangefinder and lens from scratches and gently buffs away any sticky fingerprints whilst inside the protective case. Stylish faux leather case with soft suede interior and carry strap - the ultimate protection for your compact Rangefinder! Finished in an executive black, this case is both stylish and secure, providing great protection for your valuable device. 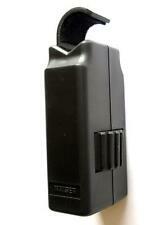 Lightweight and durable Rangefinder case in black neoprene. With a circular base and cylindrical shape, this pouch gives the perfect snug fit for your Rangefinder. EXC Signs of moderate use but no bad dents or deep scratches. EXC Very minor signs of use only. MINT- Almost unmarked, only very tiny rubs. MINT Totally unmarked. Gradings guide. Features: 8 x magnification 21mm objective lens (front lens) Roof prism Compact foldable design 7.2° view angle 126m - 1000m optimum viewing range Includes belt carry case Ideal for ornithologists, hikers and any other watchers these 8x21 compact binoculars tick all the right boxes. 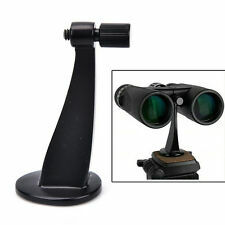 Description: These binoculars are a must for anyone who finds themselves looking at stuff in the distance. They are 8x21 compact roof prism binoculars which are perfect for carrying around as they do not weigh much nor take up space..
Yukon NVMT Head Mount is a lightweight, comfortable, and versatile mount that turn Yukon NVMT into a hands free goggle with the Yukon NVMT Head Mount. It is designed to fit the NVMT series of night vision monocular perfectly. Pair of Binocular Objective Lens Covers for Vortex 32mm Diamondback binoculars. Vortex 32mm Diamondback binoculars. Sling Shoulder Case For Nikon D7100 D7200 D7000 D5300 D5200 D3300 D3200 D3100. Stylish faux leather case with soft suede interior and carry strap - the ultimate protection for your compact Rangefinder! Quick release buckles allow the binocular to be quickly and easily removed from the harness. Zeiss Binocular Rainguard. Condition is New. Genuine zeiss west german rainguard. Rubber with strap cutouts fits 42 mm models see dimensions on image. We will always help you to have a 100% positive happy buying experience. Adjustable length.